American Airlines, United, and Delta all release several co-branded credit cards with various benefits, bonuses, and fees. I consider these to be the “basic” personal card for each of the three legacy carriers in the United States. Each airline also has a lower-tier cards which earn miles at a lower rate and come with no sign up bonus. And several of the airlines have higher tier cards that come with gigantic annual fees and even better benefits. But these are the four basic cards. Which cards have the best sign up bonus? Which have the best benefits? The Citi® / AAdvantage® Platinum Select® MasterCard® offers 50,000 bonus American Airlines miles after spending $3,000 in the first three months. The United card’s public bonus is 30,000 miles after spending $1,000 in the first three months. Log into your United account here to see if you are offered the 50k/$2k offer. If not, go to a Chase branch and apply in person for the 50k/$2k offer. The Delta frequently has targeted 50k bonus offer, and every few months has a public one. Skip it at 30k unless you are desperate for Delta miles. The American Airlines, United, and Delta cards all waive the annual fee for 12 months, then charge $95. United and Delta have added a requirement that you spend a certain amount of money each year with those airlines to get elite status, in addition to the classic requirement of flying a certain number of miles or segments. Spending $25,000 on your United card in a calendar year waives that year’s Premier Qualifying Dollar requirement for statuses up to Platinum, but not for 1K. 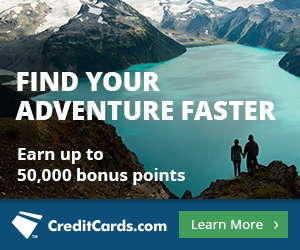 In addition, you’d get 10,000 bonus award miles for spending $25,000 on the card in a year. Spending $25,000 on your Delta card in a calendar year waives that year’s Medallion Qualifying Dollar requirement for all statuses. American has not imposed a dollar requirement to get status, so its card doesn’t need or have this feature. My favorite extra feature is that the United card offers cardholders extra award space on United flights that is normally set aside for elites. Airline cards offer attractive sign up bonuses, benefits that mimic lower tier status like priority boarding and a free checked bag, and other perks like lounge passes. I have had or currently have every card in this post for these reasons. However, airline co-branded cards are generally not the cards to put all your daily spending on because they only earn 1 mile per dollar. Focus on these cards for the bonuses and perks, and put your big monthly spending on cards with category bonuses. Thanks for the handy comparison! A good summary. Just FYI.. Put the elite waiver info re: United & Delta is correct in the text but appears to be reversed in the chart. Thank you very much. I have made the correction. What are the lower-tier United and Delta cards? Someone pls correct me if I’m wrong but at least the in case of Delta Gold Amex, card holders often get ‘early’ access to certain sales (eg award ticket sales). Does the American Airlines card come with 2 passes? I have not seen that benefit listed. Thanks. 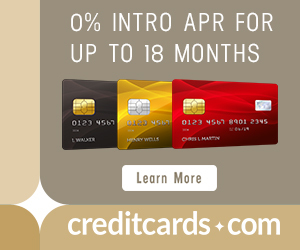 I believe one big variable is that the AA Citi card has a benefit of 10% miles upto 10K back on rewards redemption.